The Royal Society is coming to Cardiff with Creating connections to discuss the role of Wales in driving UK innovation and prosperity. Scientific and technical opportunities and challenges in Wales will be addressed by leading experts from academia, industry and government. Mae'r Gymdeithas Frenhinol yn dod i Gaerdydd i drafod rôl Cymru wrth hybu arloesedd a ffyniant yn y DU. Bydd arbenigwyr o'r byd academaidd, diwydiant a'r llywodraeth yn trafod cyfleoedd a heriau gwyddonol. The day will feature sessions on various areas of science and policy, including discussions of net zero Wales 2040, the Government's commitment to increase investment in research and innovation, data talent and skills, and more. A full-day media skills training course will be running at this event. See the agenda below for registration details and note the course cost. An exhibition will also be a feature of this event, including Royal Society stands to share resources and find out how we can support you. Further information about individual exhibits will soon be available in the agenda below. This event is free to attend by invitation. You may request an invitation or direct any other queries to industry@royalsociety.org. See further details about each session in the agenda below. This event, a partnership between the Royal Society and Learned Society of Wales, will bring together representatives from academia, industry and government to reflect on how the science, assets, and political will of Wales could be harnessed to provide a prosperous and healthy future for its citizens through low carbon innovation. Mewn partneriaeth â Chymdeithas Ddysgedig Cymru, bydd y digwyddiad hwn yn ystyried sut y gellid manteisio ar wyddoniaeth, asedau ac ewyllys gwleidyddol Cymru i ddarparu dyfodol ffyniannus ac iach i'w dinasyddion trwy arloesi carbon isel. Wales has set ambitious legally-binding greenhouse gas emissions reduction targets to 2050 and, in parallel, firmly embedded climate change in policy-making through the Well-being of Future Generations (Wales) Act 2015 (PDF). The office of the Future Generations Commissioner for Wales was specifically created for ensuring that those in public bodies take into account the long-term implications of their decisions, and there are plans for the Welsh Public Sector to be carbon neutral by 2030. This explicit government commitment, combined with a strong low-carbon research base and receptive industry, provides an opportunity for Wales to take a broad step into the future and realise the benefits for all. Over the course of a day’s workshop chaired by Professor Hywel Thomas CBE FLSW FREng FRS, Cardiff University, plenary sessions and breakout workshops will identify the challenge presented in Wales and the opportunities provided by innovations in agriculture, low-carbon hydrogen and digital technologies, before starting to set out a pathway to zero carbon Wales. Education and skills for the future: How can employers help to broaden the curriculum in Cardiff? Addysg a Sgiliau ar gyfer y Dyfodol: Sut all cyflogwyr helpu i ehangu'r cwricwlwm yng Nghaerdydd? The Royal Society’s main goal for its education programme is to create the conditions for young people in the UK to receive a broad, balanced and connected education beyond the age of 16, in order to provide them with STEM skills and knowledge, and the context they need to succeed in the twenty-first century world of work. Nod y Gymdeithas Frenhinol yw creu amodau yn y DU i bobl ifanc gael addysg eang a chytbwys y tu hwnt i 16 oed, er mwyn darparu sgiliau a gwybodaeth STEM. We know that the way we live and work is already changing considerably as a result of technological innovation. Many traditional career pathways are likely to disappear, and young people who are entering the world of work now are likely to have a wider variety of jobs during their lives. The current post-16 system is very narrow. The average number of A levels taken per student across the UK is now 2.7, and often these will be in the same subject area, with students taking two or three sciences or humanities. This leaves young people without the necessary breadth of knowledge and skills to allow them to succeed in the world of work. This workshop will discuss examples of employers in the Cardiff area who have developed strong relationships with local schools, and who have effectively worked to ‘broaden’ the curriculum in the region. This could be by providing work experience opportunities, by going into schools to give talks, or by giving schools materials to teach students more about a particular industry. Bydd y gweithdy hwn yn trafod enghreifftiau o gyflogwyr yn ardal Caerdydd sydd wedi datblygu cysylltiadau cryf gydag ysgolion lleol, ac yn gweithio i 'ehangu'r' cwricwlwm yn y rhanbarth. The aim of this session is to gain a sense of how relationships between businesses and schools are formed, the benefits to businesses of making close links with young people, and some practical steps local employers can take to increase their connection with schools. Dealing with the media can be daunting. Will they understand your work? What if they get it wrong? Will you perform at your best? Gall delio â'r cyfryngau fod yn frawychus. A fyddant yn deall eich gwaith? Beth os ydynt yn cyflwyno'r wybodaeth yn anghywir? A fyddwch yn perfformio ar eich gorau? Yn ystod y cwrs hwn byddwch yn dysgu sut mae'r cyfryngau'n gweithio, a sut i ddefnyddio'r wybodaeth honno. During the course you will discover how the media works, and how to use that knowledge. You will be shown how to turn your work into a story the media will be interested in, and what to expect when the media calls. The tutors will work with you to prepare your story for interview, and you will learn techniques so that you, and your message, come across as well as possible. Participants will have the opportunity to work with an experienced TV production team, a top voice coach, and a leading science communicator to prepare and practice media interviews. Course attendees will need to register via the Media skills course web page (please note the course fee is £419 plus VAT). How can Wales benefit from commitments to increase investment in research and innovation across the UK? / Sut all Cymru elwa ar ymrwymiadau i gynyddu'r buddsoddiad mewn ymchwil ac arloesi ledled y DU? This round table, which is co-hosted with the Learned Society of Wales, will focus on the UK government's industrial strategy and target for 2.4% of GDP to be invested in UK R&D. It will explore how Wales can benefit from and contribute to this UK-wide ambition alongside its own research and innovation strategy. Bydd y drafodaeth bwrdd crwn hon, a gynhelir ar y cyd â Chymdeithas Ddysgedig Cymru, yn canolbwyntio ar strategaeth ddiwydiannol llywodraeth y DU a'r targed o fuddsoddi 2.4% o GDP mewn Ymchwil a Datblygu yn y DU. Bydd yn archwilio sut gall Cymru elwa ar a chyfrannu at yr uchelgais hon drwy'r DU gyfan ochr yn ochr â'i strategaeth ymchwil ac arloesi ei hun. In 2017, the UK government outlined an ambition in its industrial strategy for the UK to be the most innovative country in the world, committing to a target of 2.4 per cent of GDP invested in UK R&D within ten years, and a longer-term goal of 3 per cent. To meet this target, the UK must create a vibrant environment that fosters research and innovation throughout the UK and across public services, universities and business, as well as attracting global investment. This round table will bring together large and small businesses, universities, and national and local policymakers and funders to assess how research and innovation varies across Wales, and explore strengths and opportunities. Through this discussion, we will seek to identify the limiting factors on research and innovation activity in Wales as a basis to explore local, national and UK-wide levers that may help boost this. We will also explore how people across Wales can have the opportunity to contribute to and share the benefits of R&D investment. We will share the findings of this discussion to inform ongoing policy and influencing activity locally and nationally. There is a need for the UK to address the gap between supply and demand to ensure the UK’s competitiveness in data science, machine learning and wider forms of AI. From our recent work in this area, we know there is increased demand for data science and related jobs in the UK. We have also heard about the multiplicity of career paths and the confusion this can cause for the people responsible for hiring data talent. Mae angen i'r DU fynd i'r afael â'r bwlch rhwng cyflenwad a galw er mwyn sicrhau ei gallu cystadleuol mewn gwyddor data, dysgu peiriant a mathau ehangach o Ddeallusrwydd Artiffisial. O'n gwaith diweddar yn y maes hwn, rydym hefyd yn ymwybodol o'r nifer fawr o lwybrau gyrfa sydd ar gael a'r dryswch y gall hyn ei achosi i bobl sy'n gyfrifol am gyflogi talent data. 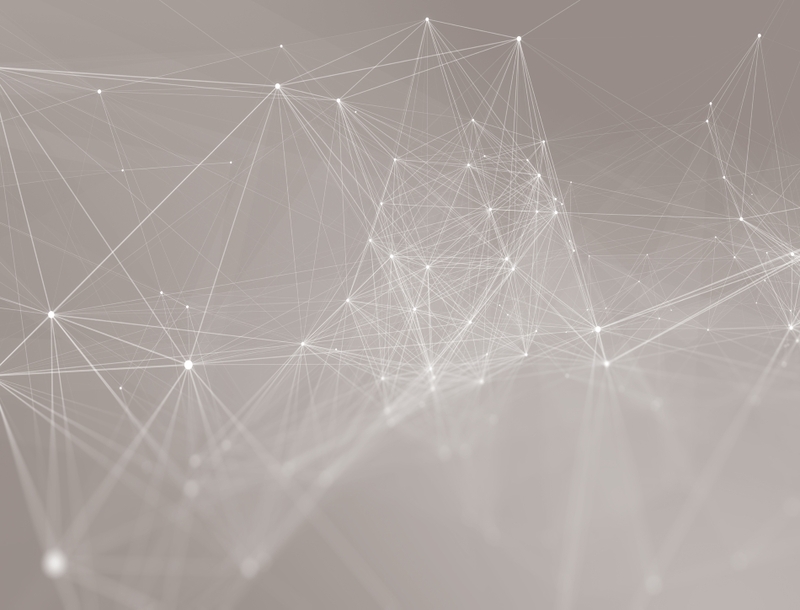 We invite you to join us to share models of best practice in developing, nurturing and sharing data science talent, as part of a programme of engagement to scale up and replicate examples of successful initiatives in this area. Rydym yn eich gwahodd i'r sesiwn yma i rannu modelau o arfer gorau wrth ddatblygu, meithrin a rhannu talent gwyddor data. Bringing together the Royal Society’s early career Research Fellows, this meeting will provide an opportunity to meet and speak to other Research Fellows in your local area. You will have the chance to network and get advice and guidance from other attendees including fellowship alumni and Royal Society staff, as well as have the opportunity to present your work. Bydd y cyfarfod yn gyfle i Gymrodorion Ymchwil y Gymdeithas Frenhinol sydd ar ddechrau eu gyrfa i gyfarfod a sgwrsio â Chymrodorion Ymchwil lleol eraill. Byddwch yn cael cyfle i rwydweithio a chael cyngor gan rai eraill sy'n bresennol yn y cyfarfod gan gynnwys cyn-gymrodorion ymchwil a staff y Gymdeithas Frenhinol, yn ogystal â chyfle i gyflwyno eich gwaith. Please note, this session is by invitation only. 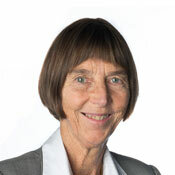 Dame Sue Ion FRS is Hon President of the National Skills academy for Nuclear. She was previously Chairman of the UK Nuclear Innovation Research Advisory Board (NIRAB). She represents the UK on a number of international review and oversight committees for the nuclear sector including the Euratom Science and Technology Committee which she chaired until late 2018. She is the only non US member of the US Department of Energy’s Nuclear Energy Advisory Committee on which she has served since 2005. Sue spent 27 years with British Nuclear Fuels Ltd (BNFL) rising to the position of Chief Technology Officer in 1992, a post she held until 2006 when she assumed a number of mainly voluntary roles in Science and Engineering, including membership of the UK Council for Science and Technology and the Engineering and Physical Sciences Research Council (EPSRC). She was Vice President of the Royal Academy of Engineering 2002-2008 and currently chairs its MacRobert Committee. Sue was Deputy Chair of the Board of the University of Manchester until September 2018 and currently serves on the Board of the University of Central Lancashire. Her core expertise is in materials science and engineering associated with the nuclear sector. Sue is a member of the Chief Scientific Advisor for Wales’s Science and Innovation Advisory Council She has been a Visiting Professor in the Department of Materials at Imperial College since 2006, and holds an Honorary Professorship at the University of Manchester and is now Chair of the Royal Society Science, Industry and Translation Committee. Peter Bruce is Wolfson Professor of Materials at the University of Oxford. His research interests embrace materials chemistry and electrochemistry, with a particular emphasis on energy storage, especially lithium and sodium batteries. Recent efforts have focused on the synthesis and understanding of new materials for lithium and sodium-ion batteries, on understanding anomalous oxygen redox processes in transition metal oxides used as high capacity Li-ion cathodes, the challenges of the lithium-air battery and the influence of order on the ionic conductivity of polymer electrolytes. His pioneering work has provided many advances. Peter received the Tilden Prize of the Royal Society of Chemistry in 2008, the Carl Wagner Award of the Electrochemical Society in 2011, the Liversidge Award of the Royal Society of Chemistry in 2016 and the Hughes Medal of the Royal Society in 2017. He has also been selected as Highly Cited Researcher by Thomson Reuters/Clarivate Analytics in 2015, 2016, 2017 and 2018. As well as directing the UK Energy Storage Hub (SuperStore) and a consortium on lithium batteries, Peter is a founder and Chief Scientist of the Faraday Institution, the UK centre for research on electrochemical energy storage. Peter also took up the position of Physical Secretary and Vice President of the Royal Society in November 2018. 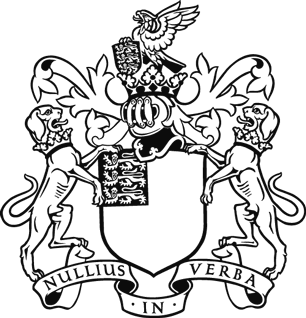 The Royal Society is the independent scientific academy of the UK and the Commonwealth, dedicated to promoting excellence in science. As part of our work we are engaging with industry to understand the skills gaps in different sectors, listen to experiences of university-business collaboration, and hear views on the UK government’s industrial strategy and 2.4% target for R&D investment. The dinner will bring together business leaders and fellows of the Royal Society to discuss the scientific and industrial landscape in Wales. It will ask how the Society can support industry in Wales and discuss topics critical to the successful application of science for societal and economic benefit. Bydd y cinio hwn yn dod ag arweinwyr busnes a Chymrodorion y Gymdeithas Frenhinol at ei gilydd i drafod y dirwedd wyddonol a diwydiannol yng Nghymru. Bydd yn holi sut all y Gymdeithas gefnogi diwydiant yng Nghymru ac yn trafod pynciau sy'n hollbwysig wrth gymhwyso gwyddoniaeth er budd cymdeithasol ac economaidd. Co-hosted by Dame Sue Ion DBE FREng FRS (Chair of the Royal Society's Science, Industry and Translation Committee) and Professor Peter Bruce FRS (Vice President and Physical Secretary of the Royal Society). Hear from the Royal Society Grants team who will be visiting Cardiff University to provide details of funding opportunities, as well as application advice for early and senior career researchers working in the UK and internationally. The presentation will be followed by a Q&A session. This opportunity is open to researchers based at Cardiff University and the surrounding areas. Cyfle i glywed gan dîm Grantiau'r Gymdeithas Frenhinol a fydd yn ymweld â Phrifysgol Caerdydd i ddarparu manylion am gyfleoedd cyllido yn ogystal â chyngor ynghylch ymgeisio i ymchwilwyr ar ddechrau eu gyrfa ac uwch ymchwilwyr. Mae'r cyfle hwn yn agored i ymchwilwyr ym Mhrifysgol Caerdydd a'r ardaloedd cyfagos. Please register via Eventbrite to attend. Bringing together leading experts from academia, industry, government and charities, to address the scientific and technical challenges of the next decade. This event will bring together experts from academia, industry and government to address future challenges and the role of Wales in driving UK innovation.